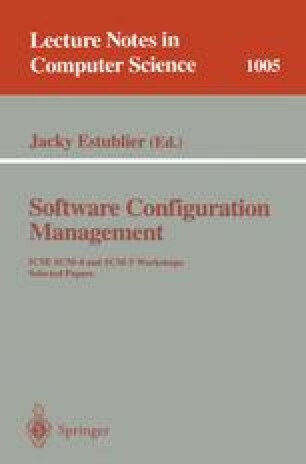 Why can't i buy an SCM tool? An organization that is evolving its software engineering environment needs an SCM tool that can evolve with the environment. SCM tools are available that can meet the long term needs of such organizations, but those tools are generally packaged in a way that, because of financial and managerial risks, makes them unacceptable for department level computing. SCM vendors are consequently excluded from a significant part of the SCM market, and users are forced to build custom SCM systems. The build-versus-buy dilemma could be resolved by a vendor-supplied SCM tool that is designed for incremental sale, delivery, and operation, where later increments are differentiated by functionality beyond that of earlier increments. Such a tool might be composed of separate, interoperable tool-sets.